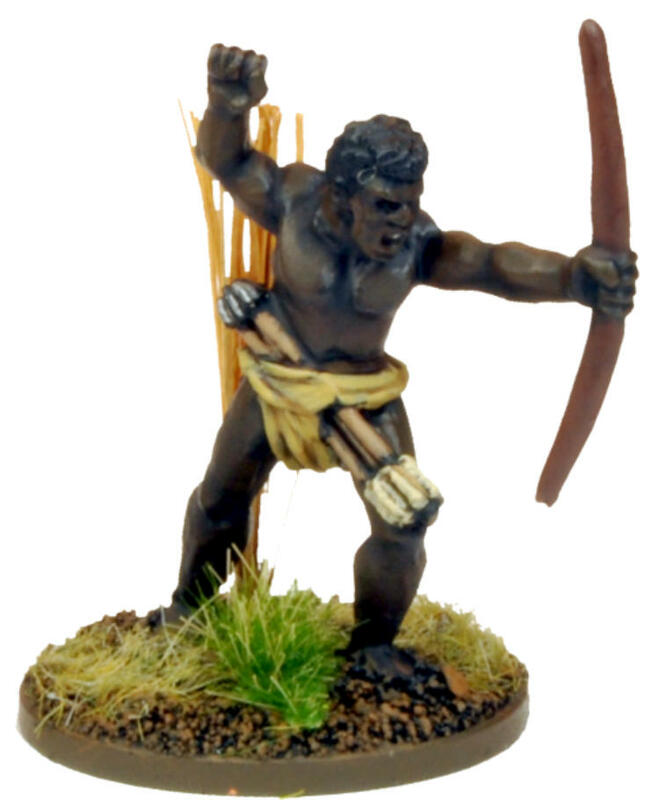 The wonderful thing about our North Star 1672 range is that the figures will do for many different nations armies in the period 1665-1680. 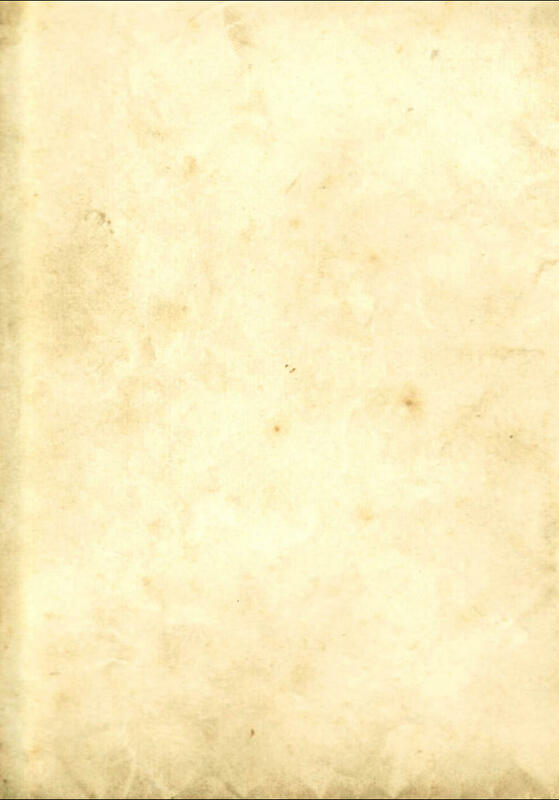 This is because it is a time just before uniforms, and the figures are all dressed in the fashions common amongst soldiers throughout Western Europe. 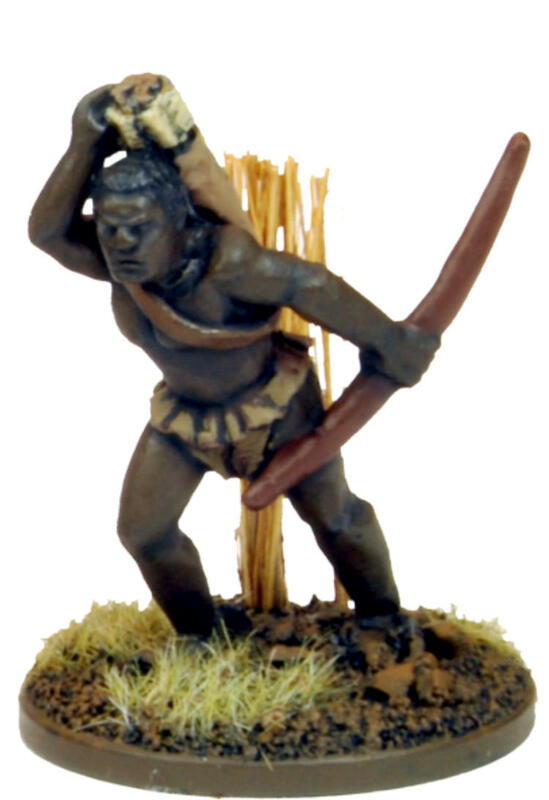 Witchcraft and Terror In the “Death in the Dark Continent” army lists I decided to reflect the psychological warfare aspect of cannibalism by allowing the jungle tribes to use the Witchcraft stratagem, rather than the Terror one. 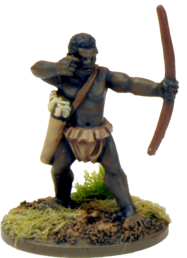 The rationale behind this is that, although both stratagems target the enemy’s morale, Witchcraft represents something its practitioners do, rather than something they are. A Zulu army, for example, can use Terror, which forces all their susceptible opponents to take a morale test at the start of the game, because it is the reputation of the Zulus and the sight of their massed impis that does the damage. 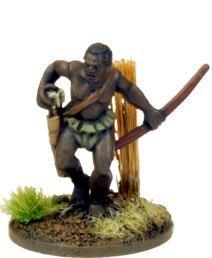 In the case of the cannibals they are actively insulting and threatening the enemy, jumping up from cover to display their filed teeth, or perhaps exhibiting a collection of skulls while enthusing about the forthcoming feast. 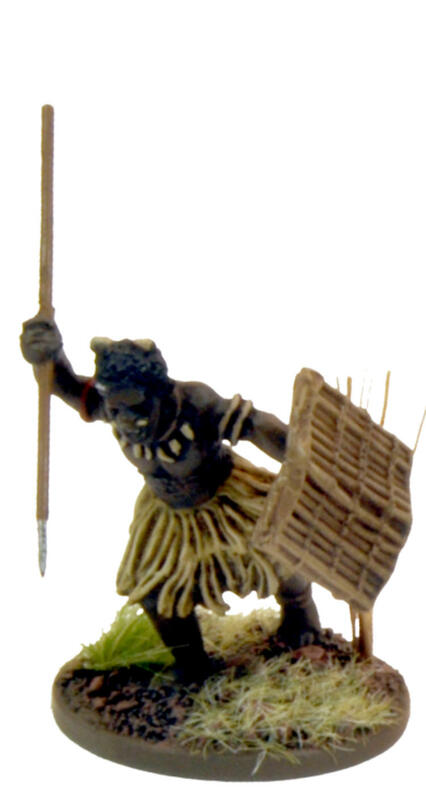 So instead of terrorising everyone at the outset, they field a witchdoctor figure who can frighten an enemy unit each turn, as long as he is close enough. 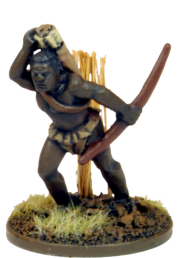 The Cannibal Chief pack is obviously ideal for this, including not just the actual witchdoctor but an intimidating pile of skulls - perhaps all that remains of the last expedition to enter their territory! 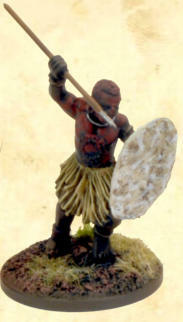 Painting a Cannibal Tribe The basic spearmen and archers in this range are intentionally fairly generic, and will be ideal for most of the “cannibal” and “villager” types of the forest region of Central Africa. 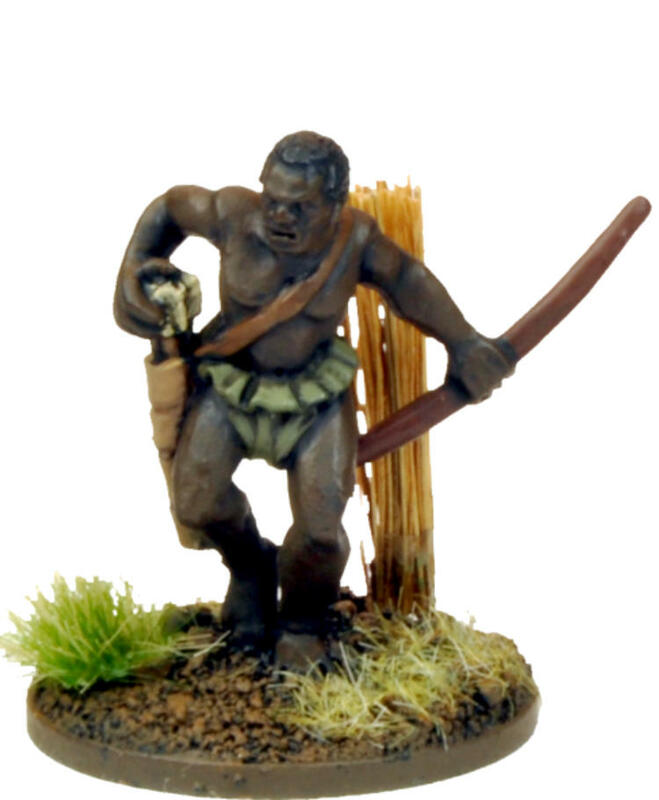 The “Extreme Cannibals”, who are advertised as being more suitable for twentieth-century “pulp” adventure games than historical Darkest Africa, are actually fine for people like the Bushongo, who wore long kilts rather than loincloths. 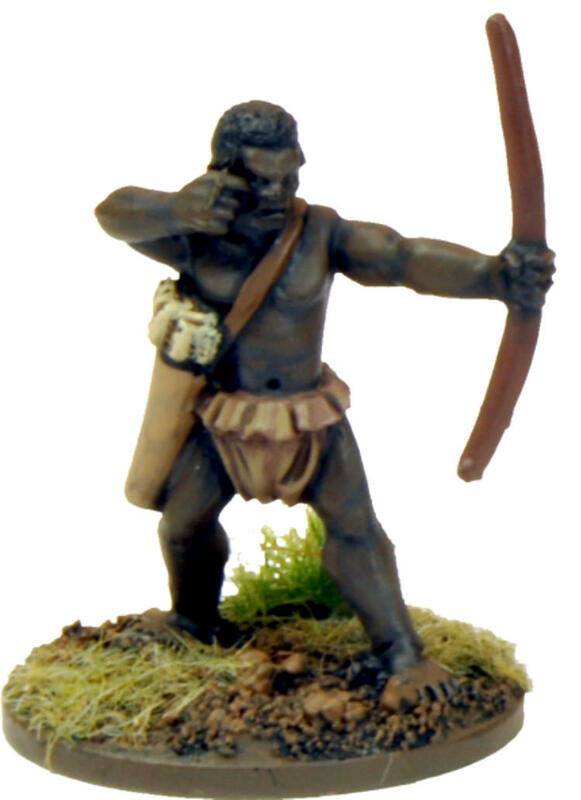 (The Bushongo, incidentally, are not covered by the Jungle Cannibal list for “Death in the Dark Continent”, but have a list of their own. 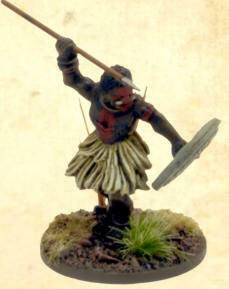 They are mostly Warriors supported by Skirmishers and Pygmies, and would be well worth trying out.) The Jungle Cannibal packs come with mixed shields, African tribes usually carried shields of a uniform design, which were important for distinguishing them from their enemies. 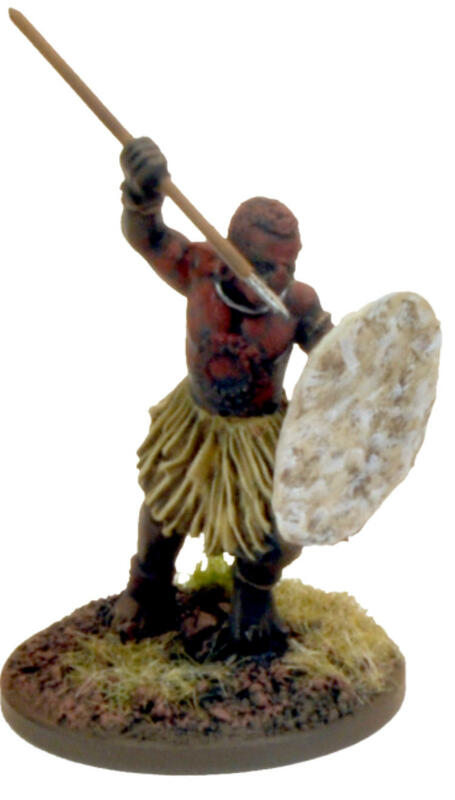 North Star will be able to help you out if you want a whole army with standardised shields, just ask when you place your order. 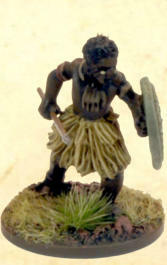 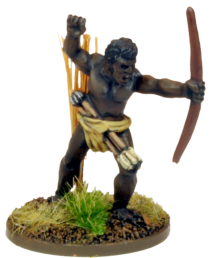 The following are a few guidelines for painting and equipping figures to represent specific cannibal tribes.